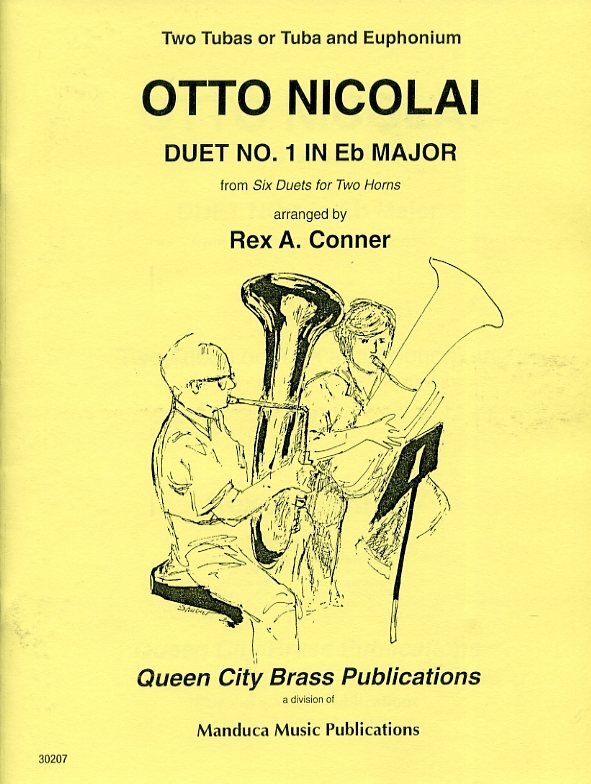 This is a three movement duet adapted from Nicolai’s Six Duets for Two Horns. This is a three movement duet adapted from the composer’s Six Duets for Two Horns. Nicolai (1810-1849) is best remembered for his Overture to the Merry Wives of Windsor, but he composed in many different genres during his short life. His writing is very romantic and melodious. These duets were discovered in Berlin after World War II. Good phrasing and nuance are featured in this arrangement. The movements are Allegro, Adagio, and Allegretto. 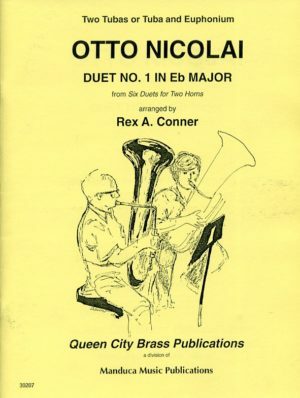 Nicolai’s writing makes perfect duet and study material for tubists.